Chero-Key Piping Co. regularly participates in area community events promoting attention to iron bridge lending fire prevention. Chero-Key Piping Co. was recognized as one apply for bank loan of Texas Construction Top Specialty Contractors for 2003. 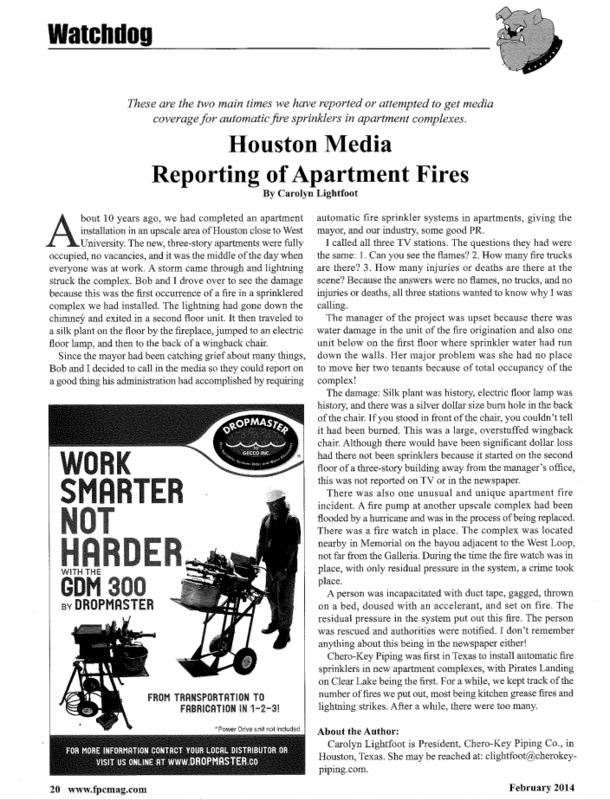 An article by Cherokey-Piping President, Carolyn Lightfoot, was recently published in Fire Protection Contractor Magazine. Click the personal loan rate uk image for a full size article. Copyright 2015 Chero-Key Piping. personal micro loans All Rights Reserved.